Broccoli sprouts are highly prized for their amazing health benefits. Broccoli sprouts have high levels of sulforaphane, a compound that research has found has anti-cancer properties. This seed has a great germination rate. 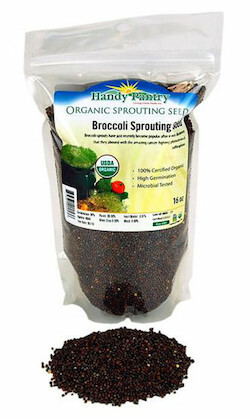 Ingredients: certified organic broccoli sprouting seeds.